Before I proceed with my review of Deus Ex: Mankind Divided, I’d like to touch on the fascinating background of the original Deus Ex series. A highly imaginative gentleman by the name of Warren Specter envisioned Deus Ex way back in 1994, when it was first under the name Troubleshooter. Before his foray into the video gaming realm (and we’re glad to have him), Warren worked as an editor and developer for tabletop role-playing games. How do I know all of this? Because back then I used to be a skinny, geeky kid who played many of the games that he worked on, such as some of the Steve Jackson and TSR RPGs. I even had the pleasure of meeting him once at a gaming convention. Anyway, Deus Ex was born out of Specter’s disillusionment with much of the science fiction fare of those times. This prompted him to create a more original series set against a dystopian backdrop. The first Deus Ex video game told the story of an augmented counter-terrorist named J.C. Denton. 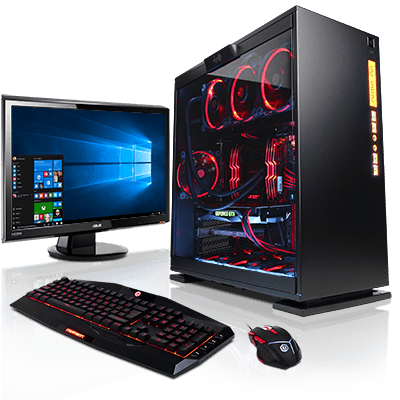 It combined elements of the role-playing, stealth-action, and adventure genres, and was played through a first person shooter perspective. The gaming world itself featured all sorts of perceived or real present day conspiracy theories and organizations, such as The Knights Templar, Illuminati, Area 51-type aliens, and so forth. One of the things that I most enjoyed about it, beyond its dark, cyberpunk atmosphere, was that it was very distinctive for its time, and included pretty much everything that I’d wanted to see in a game up to that point. Other games perhaps had touched on one of its aspects or another, but Deus Ex squished all of these super-cool elements together, and packaged them in a pretty (for the year 2000) graphical wrapping. As an avid fan of Steve Jackson Games, I also loved the infusion of its character points system. As you gained experience throughout the game, and completed quests, you’d be granted these points, which you could then spend on a wide array of talents, augmentations, and skills. It was an obvious nod to Steve Jackson’s GURPs pen and paper role-playing system. Specter then followed up the first game’s success with Deus Ex: Invisible War, which despite its wicked name, floundered with the critics. This prompted Specter to move on to other endeavors. Eidos Interactive subsequently closed down Ion Storm, which was its subsidiary game developer as well as the company which Specter had originally worked for. 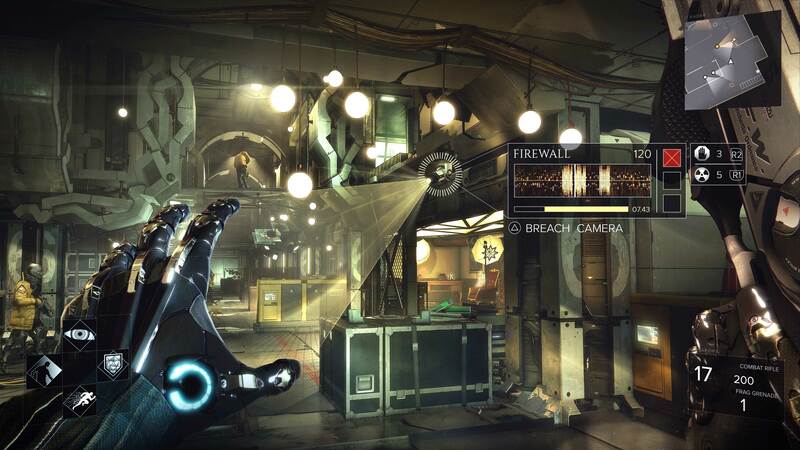 2011’s Deus Ex: Human Revolution was a post-Warren Specter attempt to reboot the series, and it featured excellent graphics along with streamlined gameplay mechanics. The critics seem to parrot one another, and unanimously gave it glowing reviews. But I thought that it was a big step back from the first two games. 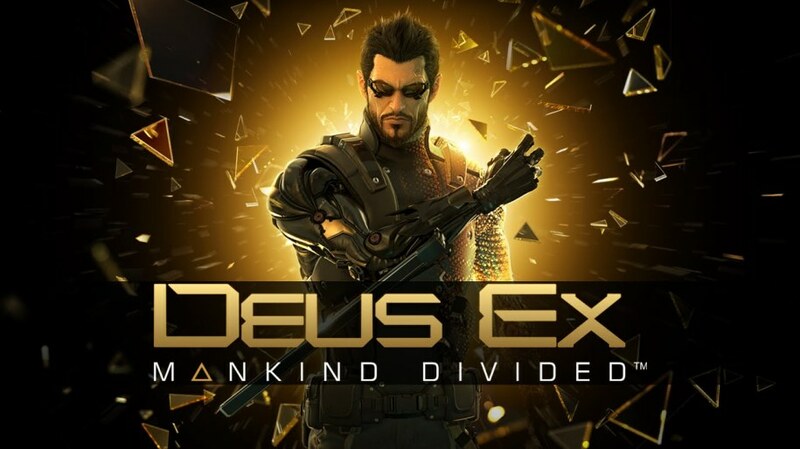 It lacked a cohesive narrative, and although it was pretty, it just lacked that certain magic of the previous Deus Ex games. 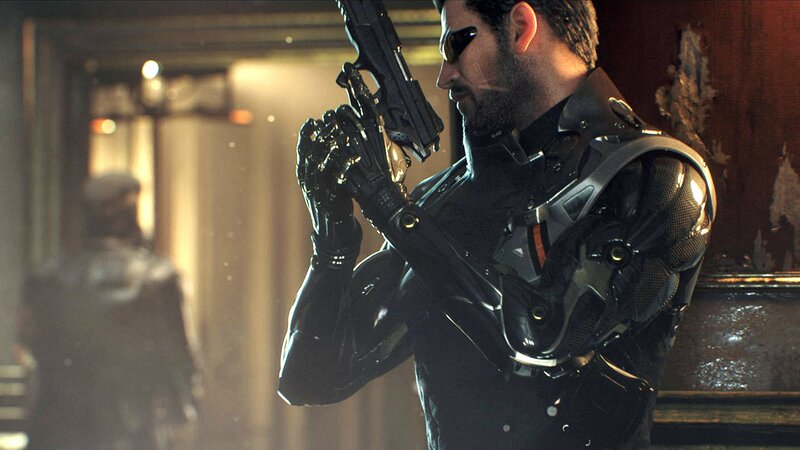 So this all takes us to Eidos’ most recent offering, Deus Ex: Mankind Divided. When I’d first checked out the much-hyped and bandied about films and game trailers that preceded the game’s launch, I just sort of just went “meh.” To me, it looked like more gaudy graphics, layered over a wafer thin story line, with barely a distant echo of Warren Specter’s original, ingenious ideas. However, I remained relatively open-minded about the project since sometimes there can be more bite than just bark. 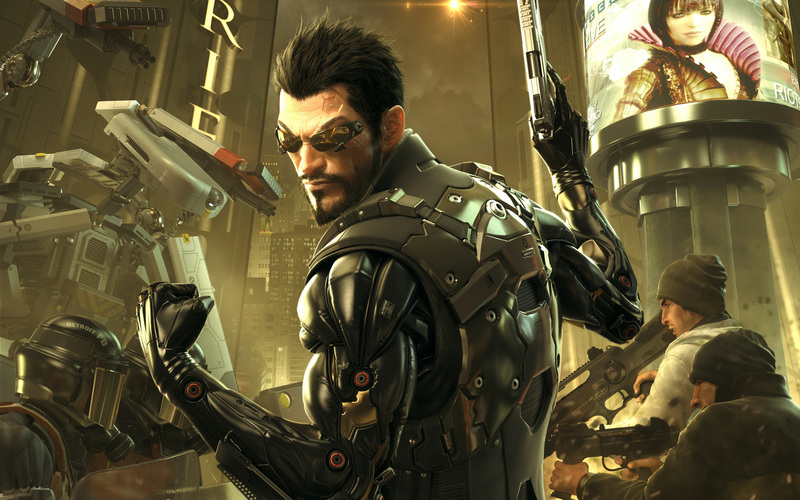 In Deus Ex: Mankind Divided, players once again take the role of the rebooted series’ mascot, Adam Jensen. Jensen’s origins are indicative of Mankind Divided’s plot line—both are extremely convoluted, seemingly just for the sake of being convoluted. You’ll learn that he was a former SWAT leader who didn’t follow orders and then worked for a security outfit, where he meets a researcher intent on halting global warming. You’ll witness many straight-from-Bladerunner staples such as perpetual dark and rainy days/nights, cybernetic augmentations, and evil corporations. From there, the storyline takes off into the stratosphere—the plot becomes so murky and indecipherable that you’ll probably have a hard time keeping up with it, even if you take notes. It revolves around an enigmatic conflaguration of augmented mercenaries, bio chip replacements, nano-tech, the Illuminati in Detroit, hijacked signals, staged explosions, and goody-goody pacifists up against big bad evil military-types. Truthfully, when I actually scrutinized all of the disparate parts of what Mankind Divided’s designers and writers had laid out, I might as well have been reading some snotty-nosed hipster’s, rambling and holier-than-thou, political science thesis. 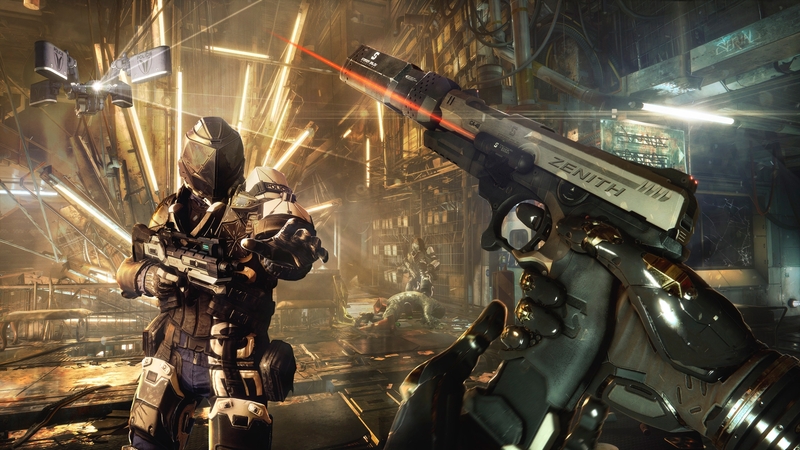 Like most Hollywood films these days, Mankind Divided starts off at a slow burn and quickly falls apart around the mid-point. From there, it seems like the developers/directors just panicked and scrambled to tie up the increasingly tangled and nonsensical storyline. The combat system is also more or less well-designed in theory, featuring a Rainbow Six-type cover system, but in reality gets bogged down by a clunky interface and sluggish responsiveness. 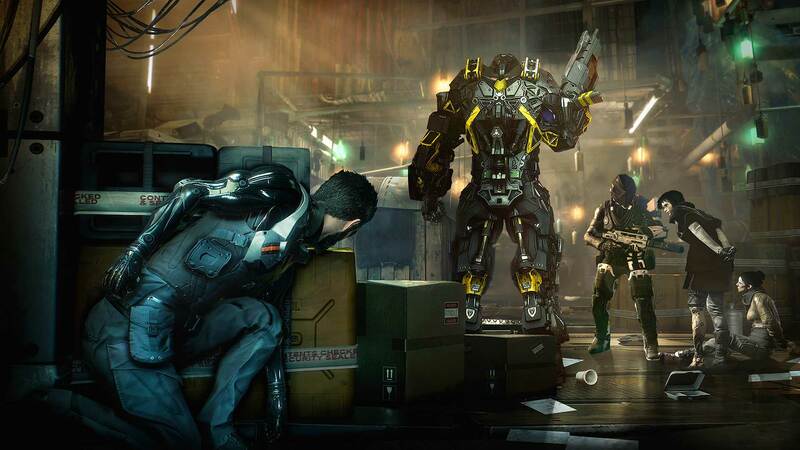 I was expecting to spend hours and hours infiltrating Mankind Divided’s various enemy bases, as well as strategizing about how I’d take on its different types of enemies. Disappointingly, after completing the main storyline and every side-quest that I came across, I finished the game in a mere fifteen hours. Not only that, but the experience was marred by multiple in-game micro-transactions. In a game that preaches about the greed of corporations, this seemed a little too close for comfort, in my opinion. The ending also leaves you hanging at the edge of a cliff, and not in a good way. Without spoiling anything, let’s just say that before you think you’re about to involved in a final, titanic, battle, the game switches to a corny news broadcast. This in turn paves the way for a DLC that players will have to pay extra for. I will say that Mankind Divided has some very cutting edge and highly detailed visuals. The environments look spectacularly dreary and depressed, and many of the buildings interiors looked lived in—their attention to detail is astonishing. The weapons and their effects are also nicely done, with excellent particle effects along with amazing sounds. The character animations are also well done, and definitely a step up from Human Revolution’s, which were already awesome to begin with. But in the end, pretty graphics don’t make a game. Like many triple A developers, they may have thought that throwing a bunch of very impressive visuals at gamers, along with tons upon tons of big orange fireballs, would wow people. And to a large extent, they probably did just that. But in my opinion, this merely shows that they are aiming for younger and younger audiences. Ones who are less likely to concerned about interesting and immersive narratives, and more focused on showing off the glitzy graphics to their prepubescent friends. What ever happened to just telling a good story?